Today is my last day at Apple. I can hardly even type that sentence without tears streaming down my face. These past 5 years have been an amazing professional experience, with some of the most incredible co-workers a person could ask for. When I think about not showing up to work tomorrow, running across the street to grab tacos with my breakfast crew, popping my head into other offices to ask questions or chat about something ridiculous that just happened....I start wondering if I have made the right decision. I know without a doubt that I have, but that won't make today any less difficult. When I left off at Part 1, I had made the decision to meet with a Career Coach to start mapping out what my possible next steps could be. My goal was to begin a career search in January. I swear not a few days after my initial phone call to set up an appointment, I was contacted about a possible position that was highly intriguing. It was an expansion role for this company, and would allow me to continue working with the Apple Education team- just in a different capacity. I decided to pursue conversations, and eventually flew out to Madison, WI for my official interview at the end of September. Meanwhile, I attended three coaching sessions with my friend Amy at Wolfgang Career Coaching. At my first appointment, we switched gears from identifying possible career paths, to focusing on whether this particular opportunity would meet my needs and be more fulfilling. Investing in that time with Amy is one of the best decisions I have made, and I cannot recommend her practice highly enough. She helped me form the right questions to ask, evaluate the role from a perspective I hadn't thought of, and navigate through negotiating an offer that made sure my value was recognized. When it came time for me to say "yes", I was absolutely confident I was making the right decision. One of my favorite parts about working at Apple is the people. They aren't just co-workers. They are an extension of my family. Even through some of the more difficult changes we have gone through recently- I could always rely on them to make the days better. So when it came time to consider leaving them, I knew it would have to be a really amazing group of people that I would start working with. My interview in Madison was a special experience, and gave me an opportunity to meet everyone who works for this small, but global, company. In fact, my first meeting was a team dinner where I was literally just thrown into the fire. It was perfect for someone social like me, and felt like it gave me the chance to get to know everyone before sitting down the next day for more serious conversations. There are lots of positive things about this career move. It's a higher level role with more responsibility and decision making authority. While it involves some travel, it puts me in front of my customers again which is something I have been sorely missing. But most importantly- it will allow me to partner with all of my favorite people at Apple. I won't be at the office with them every day, but I'll get to call/visit/and present with them on a regular basis. It really is a "best of both worlds" position, and I can't wait to get started. Bonus is that I'll be working from home! The dogs are totally prepared to be my new favorite co-workers. So today isn't necessarily about saying goodbye, but more- I'll see you in a few weeks. I'm making a big breakfast to take in this morning along with some bubbly to make mimosas and toast my fabulous teammates. I hope to goodness that I can make it through the morning without ugly crying all over myself. It just won't be the same not seeing them everyday! 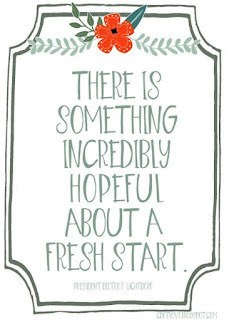 Change isn't always easy, but there is definitely something hopeful about a fresh start. Five years ago I embarked on a career move that I never dreamed of, and accepted a job with the Apple Education team. I knew nothing about inside sales at the time, but was ready for a challenge and excited to be working for a global company. I was wide-eyed and overwhelmed those first few weeks. Not only was I in the throws of job training, but I also drank from the firehouse at my very first National Sales Meeting, just a week into my new job. It was just as exciting and exhilarating as most new jobs are. The first two years flew by and were a huge success. I exceeded my sales quota both years, and was rewarded with awesome trips to Hawaii and Nevis. And then things started to change. My quota skyrocketed to a number that I haven't been able to obtain again. My beloved field partner left the company, and I was tasked with managing a large strategic territory all by myself. The fall of my third year, I ended up with not one, but two new field partners. It was at that point that I realized how much I had learned, and loved sharing that knowledge as I helped train them. We've been a fantastic team ever since and I'm so thankful for the amazing people that I get to work with. Change is inevitable in all facets of life, and I have certainly learned how to embrace it over the past two decades. At work we've had changes in management and changes to the way we do business. While some of it has been good, it has led to changes in how I feel about my work. Without complaining too much, I'll just say that I no longer feel as fulfilled as I did when I first started. At almost 40 years of age, I want more control over how I do business, and I want to be in front of people again. About a month ago I sat down with my manager (who I love and respect dearly) to talk about how I was feeling about my work. I wanted her guidance on what other options I might have that would allow me to stay at Apple. She was supportive and understanding, gave me some good advice, and I felt like a huge weight had been lifted after that conversation. Knowing that my options were limited, I made an appointment with an old friend who runs a successful career coaching business. 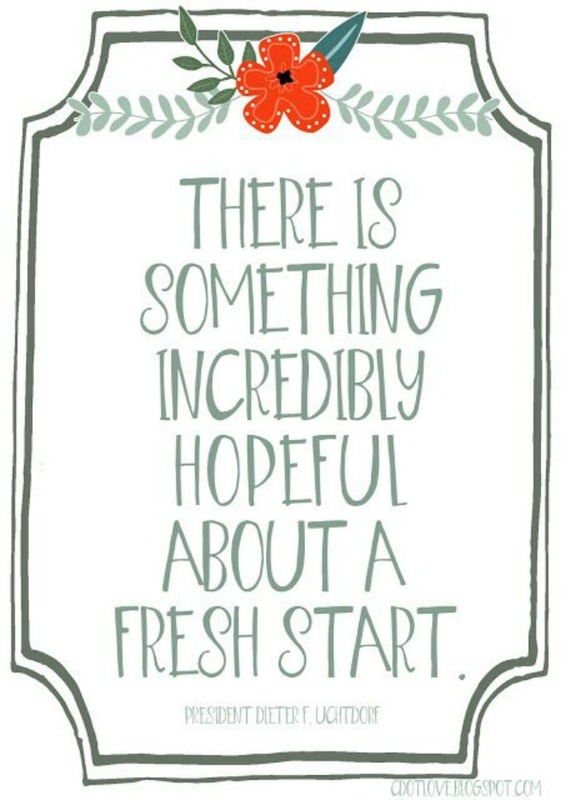 I was in no hurry to make an immediate change, and wanted to be very thoughtful about what my next move might be. I established a goal of working to identify options that would be more challenging and fulfilling, with January being the time frame for when I would actively start searching for new options. And this is when things started to get interesting...... (stay tuned for part 2).